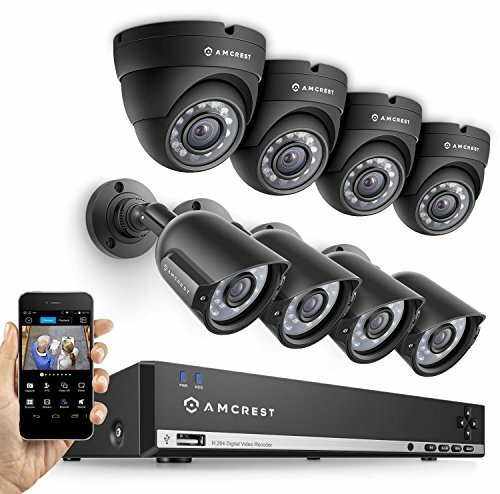 The Amcrest 960H 8-Channel 1TB DVR Security System with 4 Bullet and 4 Dome 800+ TVL Cameras provides professional grade quality at an affordable price. 960H is a standard for security cameras and DVRs that provides high quality wide-screen video using advanced image sensors, allowing you to view images that are 34% larger than D1 resolution. The cameras connect point-to-point directly to the DVR providing a painless, non-complex plug-and-play setup process.